This moderate to challenging graded trek takes to you to the foot of Everest 3 High Pass traversing across the high Kongma La (5535m.) Cho La pass at an elevation of (5430 m.) Renjo La Pass(5430m.) Also included is the opportunity to trek to the summit of both of Kala Pattar [5555m.] 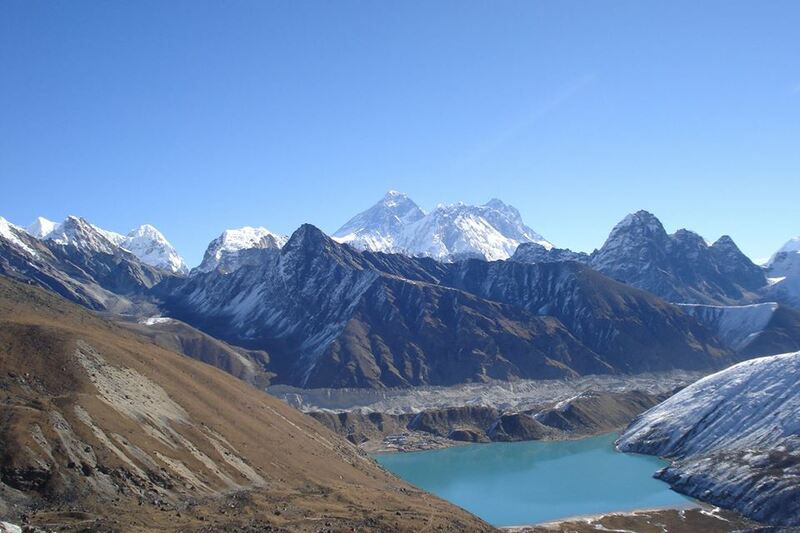 and Gokyo Ri [5340m.] for magnificent views of Everest, Lhotse , Nuptse, Makalu and Cho Oyu . A visit to Everest Base Camp will give you the chance to have a closer look at the spectacular Khumbu Icefall. Beginners or inexperienced climbers can take this trek, but this trek requires one to be moderately fit. Considering the snow conditions over Cho La Pass, the trek may not be advisable during winter and the monsoon season. Day 1 Arrival in Kathmandu Airport (1300m)(D) Pickup you at the airport and Drive to your hotel.